Did you notice the new buttons underneath my blog banner? They are there to help you move more quickly through this site. I learned how to add them from Super Blogger at my retreat this past weekend. Many thanks Cari for your help and patience. 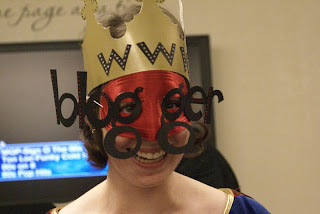 Cari is planning to put together a class on blogging early in 2010. If you're interested, please let me know and I'll share your contact info with Cari. Why the costume? 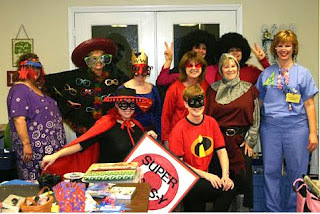 At the retreat, the theme was Super Heroes. Here are the different super heroes who came to the party!